Cute Potato, and our fundraiser for the Barbara Bush Children’s Hospital, was featured on Maine Today’s Fore Front Fashion blog. Our Maine Insider ad was featured in the May 2014 issue of National Geographic. The ad also appeared in the Summer 2014 T: The New York Times Style Magazine, Yankee Magazine (July/August 2014), and the Boston Globe Magazine. Cute Potato blogger Jennifer Hazard was selected by the Maine Office of Tourism as a Maine Insider for family fun. The state created a short film for the project. Jen appeared on 94.9 WHOM morning show with Sandra and Teddy to talk about summer activities for families. 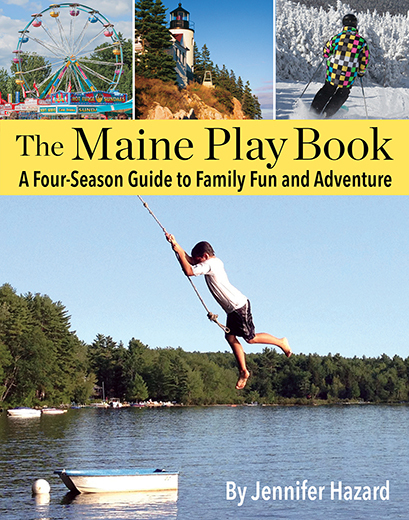 In July 2014, Jen appeared with an expert panel on MPBN’s Maine Calling to discuss how to keep kids active and engaged during the summer months. Listen here. Jen revisited 94.9WHOM in September to talk easy family meals. You can listen to the interview here. Jen, this is so wonderful! You and your fam are total naturals on TV. 🙂 The blog is brilliant! Thanks lovely lady! We think you’re pretty brilliant, too.